I have been ordering from GearBest for the last 3 years. Every item I bought was of expected quality and there was never any mixup. The only thing that might be annoying is the shipping time, but that is to be expected depending on the year season, carrier etc. I live in Europe so they usually have a special shipping methods tailored for Europe where you might get your more expensive product without paying additionally for customs taxes. I bought a OnePlus 6, the best device I ever had, came in the best condition and sealed, I chose to change version at the time, the product had already been shipped and they answered me and changed it for me, Super fast delivery 11 days! I recommend it to everyone! I’ve bougth a few items from Gearbest and I’m really happy with the items and the service. The items were delivered inside the advised timeframe. Had a DOA issue that the customer support quickly sorted for me. The website is easy to navegate. In my experience, the portuguese (PT) version of the website is not very accurate in the descripion of the products. It’s not properly translated, but it isn’t a big issue. Very good shop! Shipping to Germany with no issue at all! I bought two band straps for Garmin Fenix watch! I really liked them a lot! Navigation through the site for what i was looking for was absolutely easy! 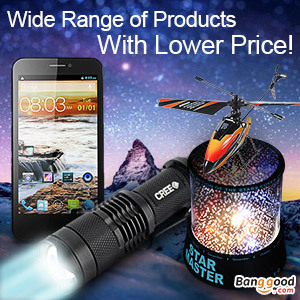 The hole design of the site is very likeable and you can easily find many things in lower prices if you use the Gearbest App which you can easily find on the store of your phone! There were lots of products available at very affordable prices, and i am totally satisfied with what i bought! I had a lot of things and of many prices to choose from. Also they are very accurate with the range of shipping days! I would easily recommend it! I got my item the sooner possible and i was very happy about my choice! I bought a Staple Free Stapler on GearBest, it was more of a test buy (testing how GearBest works and if i really would receive my order) before proceeding to buy stuff that I really wanted. The buying process, the information about my order, the price and basically everything was good. 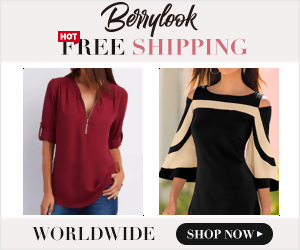 It is to note that the process of buying something is quite simple, contrary to other online shops, no pushing you to buy more and not even spamming with emails. I’m quite satisfied, and to be honest, GearBest quite impressed me on how simple and easy it is to buy something. I would say that, the only little little less good point would be, that sometimes, on the website it would reset of local currency or language on a really random way, but setting it back to my own preferred one solved it. I love buying from gearbest. Always cool, new items at great prices. I buy from them almost daily and never had any problems. that what i do when i want to buy something for me even my friends who want to buy something they came to me and tell me to choose gearbest .